The famed Egyptian attraction is making its official re-debut after a nine-year conservation project. 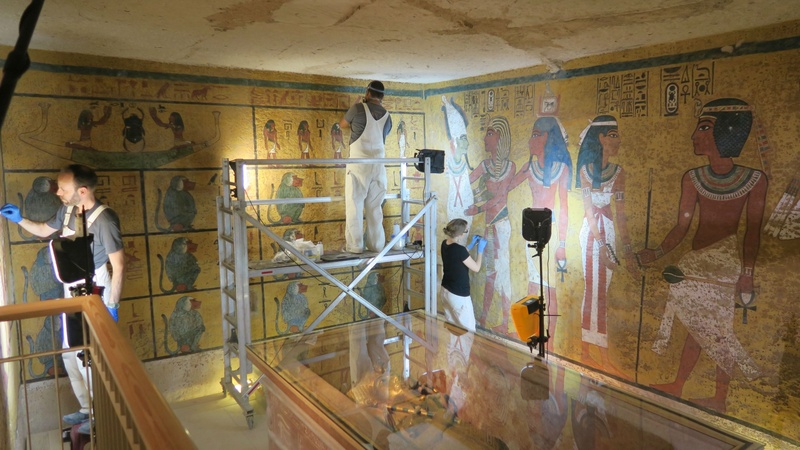 Getty Conservation Institute (GCI) recently announced the completion of its nine-year work on the iconic tomb of King Tutankhamun in Egypt, which was carried out in partnership with Egypt’s Ministry of Antiquities. 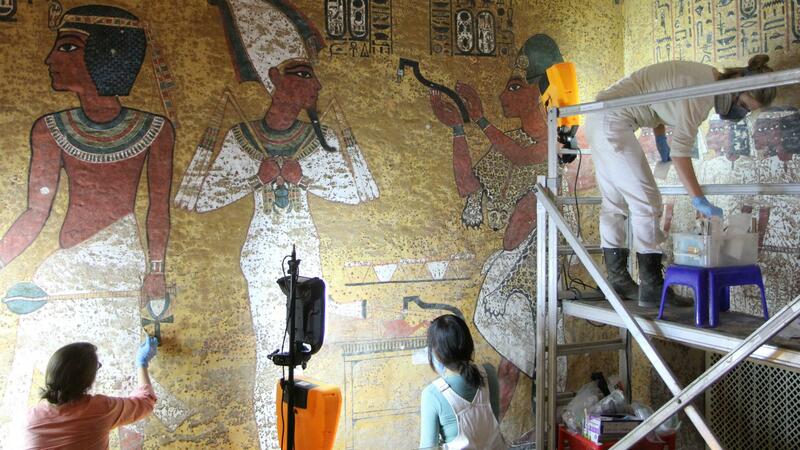 The tomb drew widespread media attention after its discovery by archaeologist Howard Carter in 1922. It’s one of the most intact tombs from the New Kingdom (1550BC-1069BC) found to date, responsible with providing archaeologists significant insight into royal funerary practices during this period in Egypt’s history. The tomb continues to be one of Egypt’s top attractions to this day. Although many objects found in the tomb are now housed at the Museum of Egyptian Antiquities in Cairo, the tomb still contains Tutankhamun's mummy and a quartzite sarcophagus. Decades of heavy tourist foot traffic were beginning to take a toll on the beloved site, particularly its ancient wall paintings which were suffering from scratches and other unintentional damage caused by visitors. The restoration and upgrading project saw the building of barriers to restrict visitor access to these paintings. A new viewing platform, additional walkways, signage and lighting have also been added, plus an air filtration and ventilation system to moderate the effects of humidity, carbon dioxide and dust, to improve visitor experience and preserve the tomb for future generations.